When we have our initial consultation with many clients, we ask several questions about what is important to the couple. A common answer is often times- BUDGET. Many couples have no idea what their wedding budget is, nor are they aware what weddings cost. Keep in mind over 80% of couples increase their budget from their initial budget. Budget…what budget? 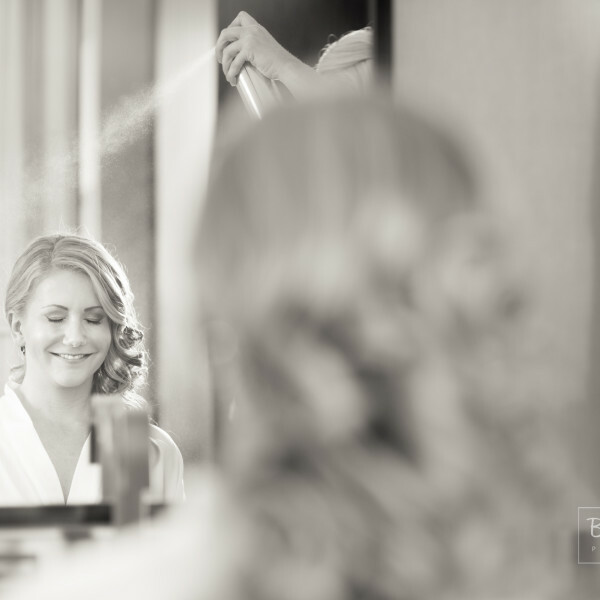 Each couple has different priorities; one couple may hold entertainment and bar as being most important and another couple may hold photography as most important. If one area is less important, it may be a good idea to shift the unused percentage to a category of a higher importance. 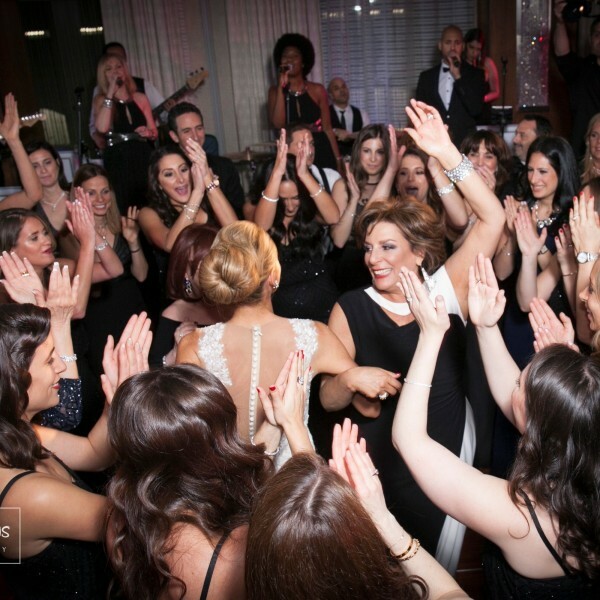 If you are the type-A couple, and flow and details are important to you, you may invest in a full-service wedding planner and shift budget from other categories which are less important to you such as having a DJ vs. band. The ceremony most often is in the same venue as the reception/dinner/dance, so you may not need transportation. You make it work, this is simply a guideline. 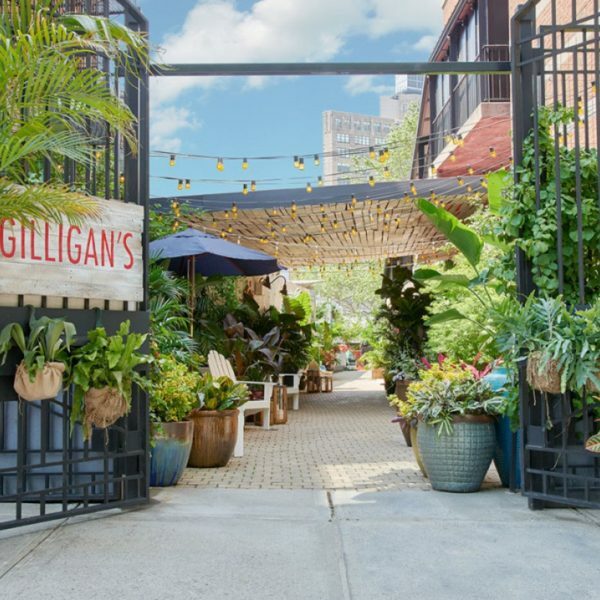 A trending wedding size in Manhattan includes 120 guests which allows a fun party, while ensuring the couple has enough time to share the evening with everyone. 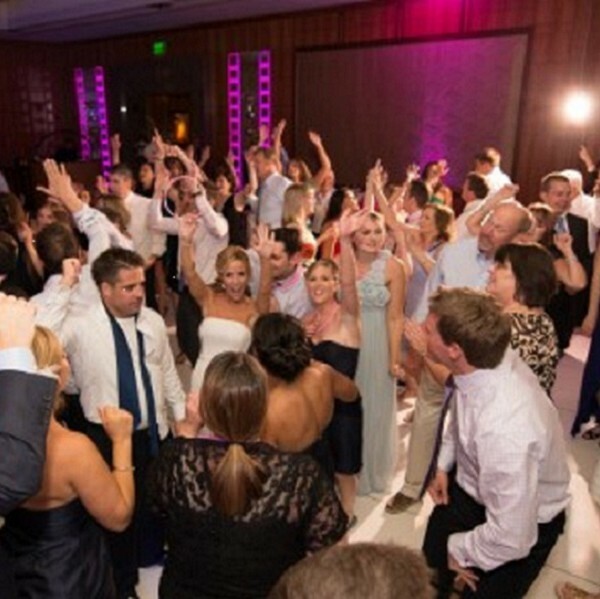 As each wedding is unique, we consistently receive inquiries from couples who have a budget of approximately $125,000 and a guest list of 120 attending the wedding. This graph illustrated gives you a suggested guideline of how to keep your budget in line. 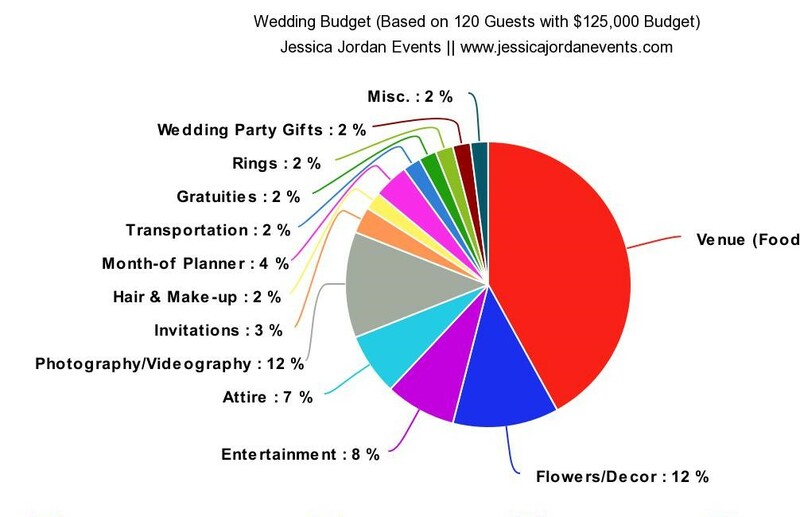 Let Jessica Jordan Events know any questions or concerns you have with your budget in the comment section below!